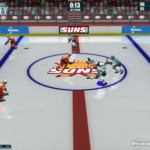 Compete in three awesome hockey events in this NHL All Star Competition game. 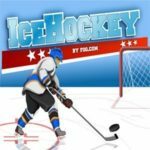 The three main hockey competition events pulled right from the big leagues, first is the Accuracy Competition: Are you accurate enough to hit all 4 targets? Few pro hockey players have done it! Speed Competition: Are you faster than greased lightning? Skate from one end of the rink to the other as quickly as you can. And power competition, see if you are you strong enough to hit a 100mph slap shot? 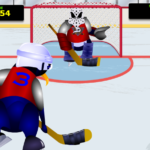 Power up your strength and smack the puck as hard as you can! 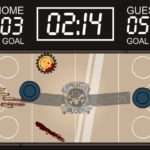 Use arrow keys and space bar controls to play this game.